CONCORD, N.C. — Race Chaser Media Photo — The first of two “ROVAL Test Fest” days at Charlotte Motor Speedway is complete, and by almost any measure it was an overall success, with a strong crowd of spectators and very little in the way of accidents or breakdowns on-track. Bubba Wallace slid into the barrier in turn one early this morning and did enough damage to end his day, and Chase Elliott had an early morning power steering issue but was able to return to action. Kurt Busch went for a spin, and Jimmie Johnson stopped on the track at one point but was able to continue on. Here is what some of the racers had to say about the unique course. 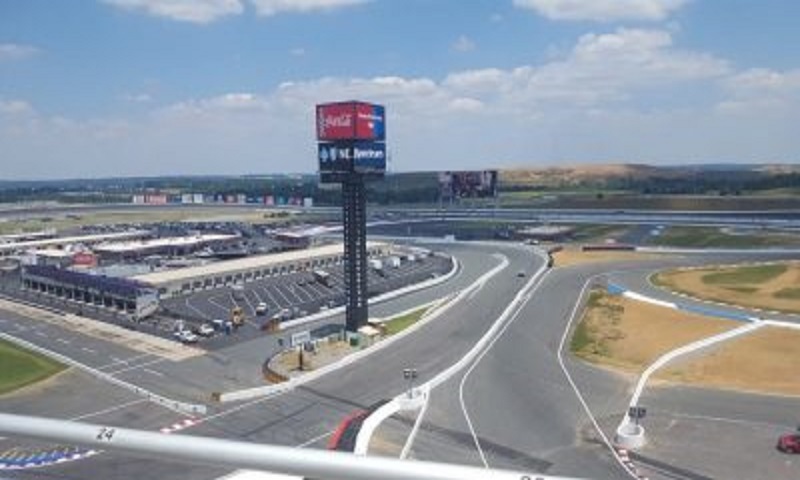 In preparations for today’s test, Charlotte Motor Speedway operations and track services employees have put in 4,500 man hours of work to prepare the 2.28-mile 17-turn course for the September 28-30 Bank of America ROVAL 400. Earlier today, some additional changes were made to the back straightaway chicane at the request of the drivers to make it harder to “cheat” that part of the course. Over 2,000 gallons of white paint, 81,500 tires for barriers constructed into 815 tire packs, 246 pieces of T-Lok barriers, 164 pieces of blue rumble strip and 275 pieces of red and white rumble strip were utilized by the Speedway to become “ROVAL Ready”. ROVAL Test Fest day two will take place next Tuesday, July 17. NASCAR split the Monster Energy Cup Series driver roster in half for the two-day test, so next week will feature all the drivers who were not here on day one. Drivers are not allowed to test both days.